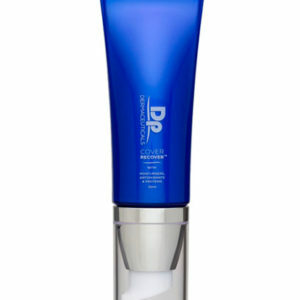 Descriere: Crema Vitamin Rich Repair – A replenishing solution that promotes intensive repair and structure. Vitamin Rich Repair visibly strengthens vulnerable complexions. 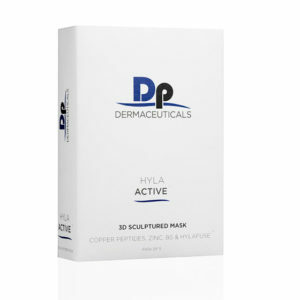 Instructiuni de utilizare: After cleansing the skin with Tri-Phase Cleanser and Exfoliating with Micro Derm Exfoliant, apply 2-3 pumps of Hyla Active™ to dry skin. Massage lightly until absorbed. 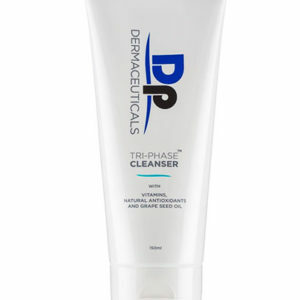 Follow with an application of the prescribed DP Dermaceuticals products. Inainte de tratament: Use once a day 1 – 2 weeks before treatment to build up the quality of the skin before treatment. In timpul tratamentului: Essential “After Treatment” directly post procedures. After removing 3D Sculptured Mask, apply apply to clean skin. Dupa tratament: Apply Vitamin Rich Repair at home twice a day for the next 5 days for healing. Vitamin E: A potent antioxidant that reinforces barrier function and protection. The skin is armed against environmental aggression for a visibly stronger and resilient integrity. Resveratrol: A potent anti-inflammatory and antioxidant sourced from the skin of red grapes. Resveratrol boasts antibiotic qualities with free-radical fighting abilities more powerful than Vitamin C or idebenone. Hylafuse Complex: A triple weighted Hyaluronic Acid complex that effortlessly absorbs into the skin to promote maximum hydration moisture infusion and long lasting comfort. 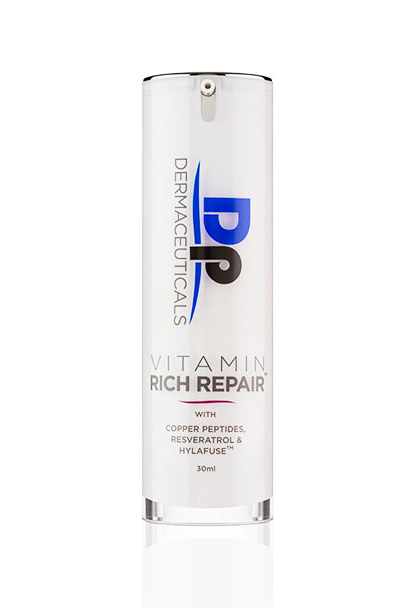 Vitamin Rich Repair A replenishing solution that promotes intensive repair and structure. Visibly strengthens vulnerable complexions.